Could you spare some time to volunteer with us? It's an exciting time to be part of Girlguiding as we get to grips with our most exciting (and biggest) programme overhaul in 100 years! 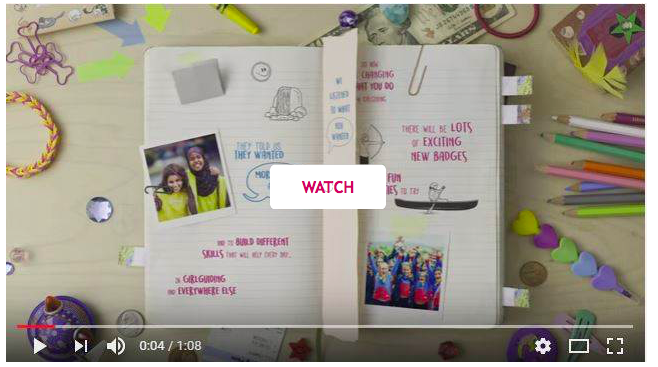 In the summer of 2018 Girlguiding launched a brand new programme - the biggest programme overhaul in our 109-year history! Emma Guthrie, a senior Section Leader here at Girlguiding Edinburgh, has been appointed to the role of Assistant Chief Guide with Girlguiding UK. Emma's new role will see her work closely with Chief Guide, Amanda Medler, to engage with, support and listen to volunteers across the UK. Congratulations Emma!